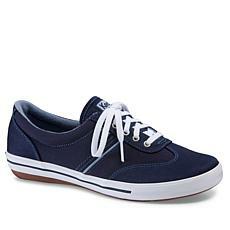 Keds® casual sneakers are always on trend. You'll never go wrong with these time-honored American canvas shoes. 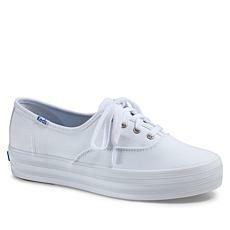 As an established and trusted brand, Keds® has a rich history of stylishly adorning the feet of women. Some of the most celebrated stars and fashion idols have worn these crisp and sporty shoes, from Hollywood's most famous actress, Marilyn Monroe to the incredibly popular present-day musician, Taylor Swift. Create an iconic look all your own when you go about your day in this fabulous footwear. 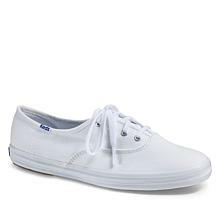 Keds® sneakers are sure to become your go-to spring and summer shoes. 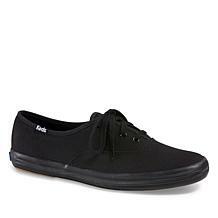 They'll give your outfits an effortlessly chic look and are an exceptional alternative to flats. Their versatility makes them the perfect shoes for a variety of casual ensembles from jeans to dresses. They're also ideal for traveling because of their comfortable design and the ease of slipping them on and off. These shoes will take you everywhere you need to go, plus their high-quality construction and durable rubber soles mean they'll last you a very long time. A pair of Keds® casual sneakers is a must-have investment piece to add to your shoe collection. 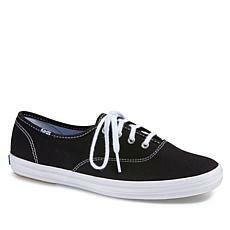 Shop with HSN and treat yourself or someone you love to these classic shoes today.